Walisi has ties to the Gorensia Hutt kajidic, who want him back, and your search for the statue will likely draw the attention of the Hutts. Jerserra, a ruthless and powerful criminal leader, is also seeking Tragic Hope and the shard it holds aloft—could she be responsible for the trail of corpses it leaves behind? Were that not enough, the Empire has dispatched the ISB in pursuit of Jerserra despite knowing little about the lightsaber-wielding mercenary. It's a triple threat that will take you from the relative security of the Hutt-controlled Toydaria to one of the most deadly and mysterious planets in the Outer Rim: Dathomir. The rewards, however, could be well more than you can imagine: control of an artifact with ties to the Force. With rumors linking it to powerful Force users in the Clone Wars, the statue has drawn the attention of the power hungry and those who wish to stop them. Which are you? 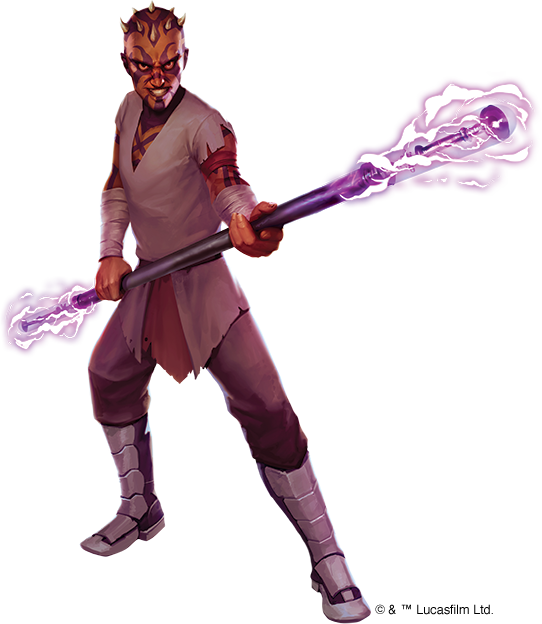 Ghosts of Dathomir brings the dread world of Dathomir and its legacy of unconventional Force users into your campaign. Today's preview offers a glimpse of the darkness that awaits you as you chase Tragic Hope to the haunted lands of Dathomir, where fear may very well devour you alive. The search for Tragic Hope will lead you to scraps of its history, whispers of the thousands of deaths surrounding the failed Oteroa Zero-Twenty mining colony, and the dread world of Dathomir. Largely forgotten or ignored, most who have heard of the planet know it as the home of some of the galaxy's most vicious beasts, although Force users and historians of the Clone Wars have a darker tale to tell: that of the Nightsisters. While your knowledge of the Force may come through more conventional means, many species in the galaxy learned of it naturally, discovering how to manipulate the Force without a true understanding of the potential dangers, attributing the power to a kind of magic. The Nightsisters were leaders of Dathomir's matriarchal society who are neither Sith nor Jedi, channeling the Force using talismans and rituals in ways intentionally confounding to outsiders. Though rumored to have aided the Separatists during the Clone Wars, the Nightsisters' agenda is as secretive as Dathomir itself, and none know if they still thrive. Wild and perilous, this Outer Rim planet features flora nearly as deadly as its fauna, leaving it populated solely by those well-trained in wilderness survival and newcomers who have yet to stumble into a sprantal lair or succumb to a belonuk stampede. The Nightsisters lived on Dathomir for generations and trained themselves to survive under conditions of high stress and constant fear. You are not so fortunate. Your will shall be tested merely overcoming the terrain of Dathomir, let alone arriving in one piece at the haunted ruins of Oteroa Zero-Twenty. Years ago, the Nightsister clans nearest the former mining colony Oteroa Zero-Twenty named its ruins "The Haunted Lands," and stepping foot on these cursed grounds will do more than send a chill down your spine. Once home to the Nardithi clan of Nightsisters, rumored to amplify their powers through death and sacrifice, the land has since been reclaimed by the wilderness of Dathomir. The thousands of deaths have left their mark. Animals native to the area are near the brink of madness. Creatures living in and around the mining colony ruins are exceptionally aggressive, and even those that might normally flee at the presence of an intruder are likely to attack. Control your fear and remain alert or find yourself facing the fang-filled snout of a sprantal as it drags you away. Surviving the maddened creatures in The Haunted Lands will only draw the attention of the lingering spirits of the dead. Spend but a few hours among the ruins and you can expect an encounter with the ghosts of Dathomir themselves: translucent apparitions wrapped in a sickly yellow-green aura that would unsettle even the most powerful Force users. Few enter The Haunted Lands and fewer still wish to return, yet unwinding the mystery of Tragic Hope has brought you here, to a land that feels as though it pulses with the power of the dark side of the Force. Will you explore the ruins and discover the truth behind Oteroa Zero-Twenty before Jerserra finds what she has been searching for? 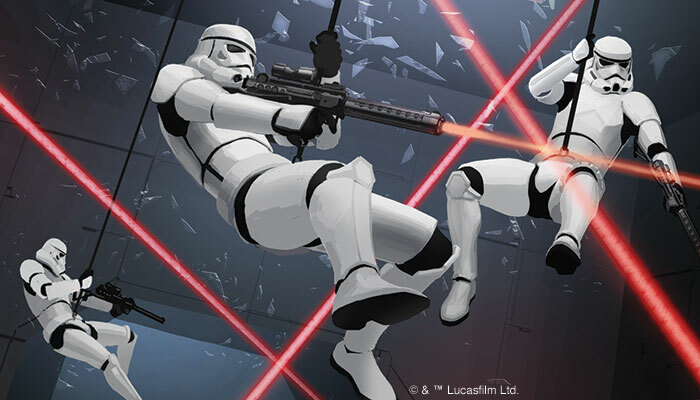 And can you survive an encounter with a vicious criminal trained in the ways of the Force, wielding the dual-bladed lightsaber of an Imperial Inquisitor? Dathomir offers more danger, mystery, and intrigue than you can experience in a single trip—if you make it out alive. Learn the true history of Tragic Hope and shape its future, building or shredding alliances with the Hutt kajidics and dodging the Empire along the way. Explore the dread world and learn to control your fears. 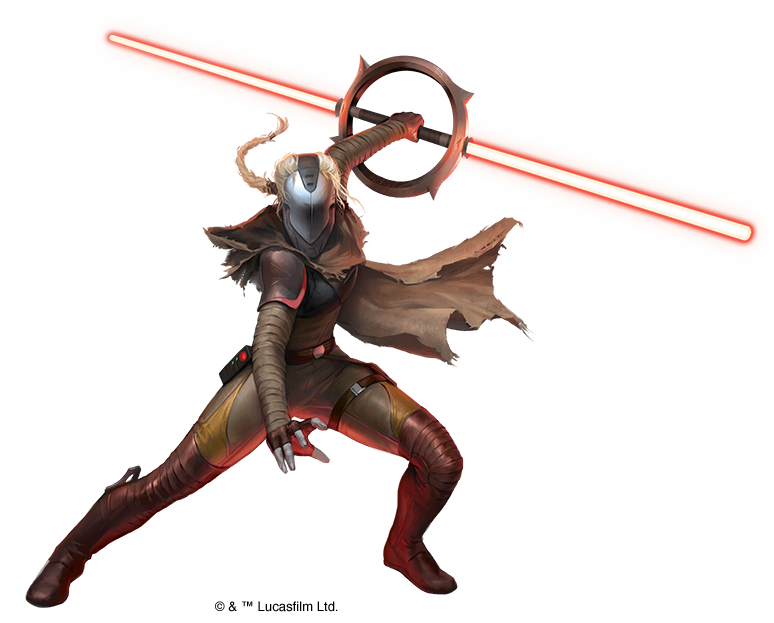 Confront the mysterious Jerserra to discover her interest in the statue and its ties to Dathomir. See a darker side to the Outer Rim for yourself. 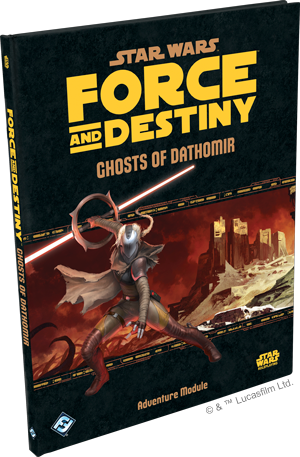 Pre-Order Ghosts of Dathomir today!